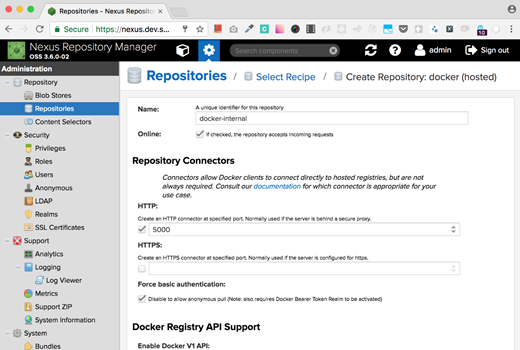 Exploring the migration from docker compose to kubernetes, openshift, and helm for the nexus reference platform. Nexus Reference Platform deployed to kubernetes using docker compose. With Sonatype Nexus 3 we can easily get private docker registry for Kubernetes cluster, npm and maven registry for applications. Setting up minishift to run a CI/CD environment with Nexus Repository Manager. Walmart Integrates Sonatype Nexus, OneOps, CloudBees Jenkins, Kubernetes into Distribution Center Management System.